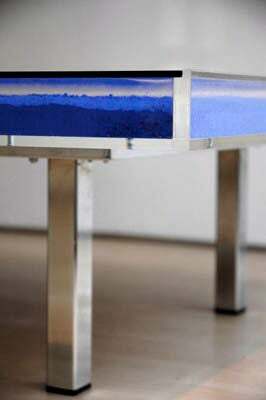 Of all the artist-designed furniture from the last century this is perhaps one of the most famous examples. 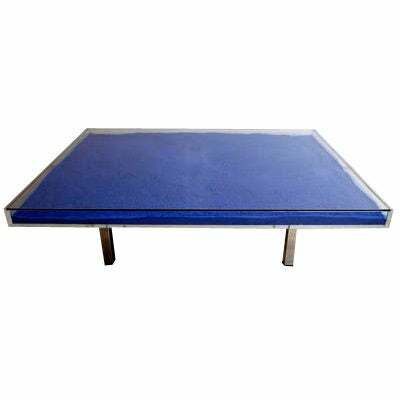 This iconic table is from an edition begun in 1963 under the supervision of Yves Klein’s widow, Rotraut Klein-Moquay, based on a model he designed in 1961. 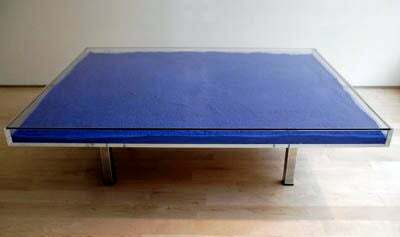 The artist died in 1962 and other than the two models owned by his estate there are no vintage tables in this edition. 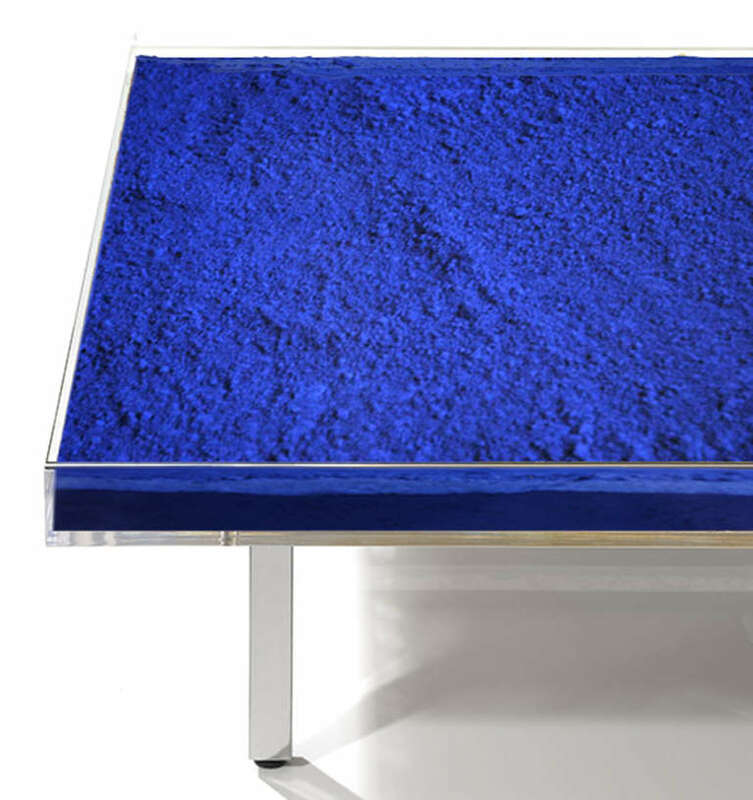 From 1963 to the present, the Yves Klein Estate in Paris, France has overseen the production of this coffee table edition. We work directly with the estate and the tables we sell have a signed and numbered placard of authenticity issued by the estate affixed to the underside. 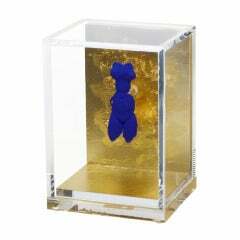 They are new and in pristine condition and ship directly from Paris all-over the world. 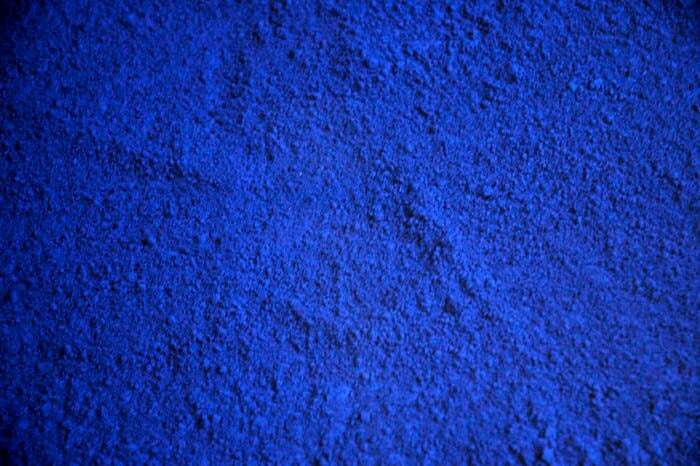 Klein designed the table in the three materials most common to his work at the time: International Klein Blue (IKB™) pigment, rose pigment, and gold leaf, and all three variations have very strong and active secondary markets. 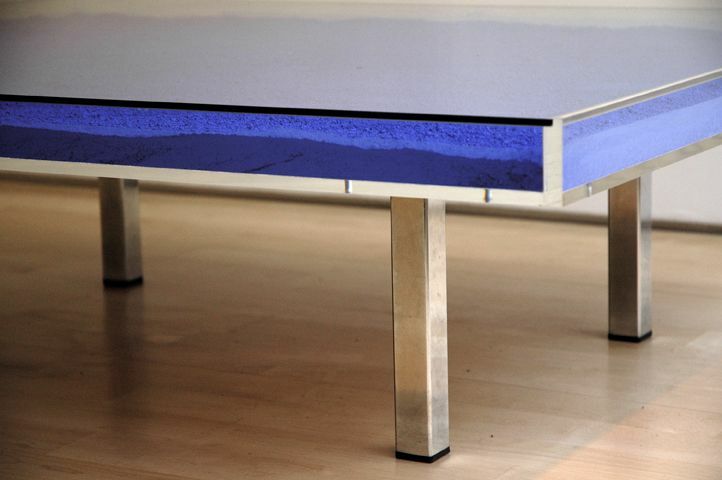 The coffee tables are a controlled edition which means that the estate produces a limited number each year. The exact number produced of each variation is not made public though certainly in the early years few, if any, tables were made. 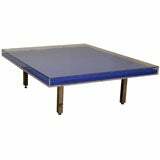 Over the last decade as the tables have been in more demand their availability has been more limited which has, in turn, created their strong secondary market. What is most important to understand about this edition is that the estate does not view tables made at an earlier date as any more valuable than those produced today. 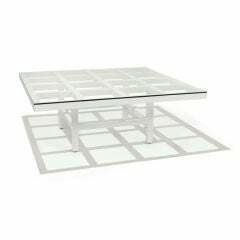 The sides and base of the table are plexiglass and the top is glass which make the table surprisingly functional and easy to maintain. 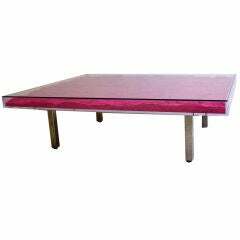 We supply detailed installation instructions for all three table variations that can be followed by any experienced art installer. 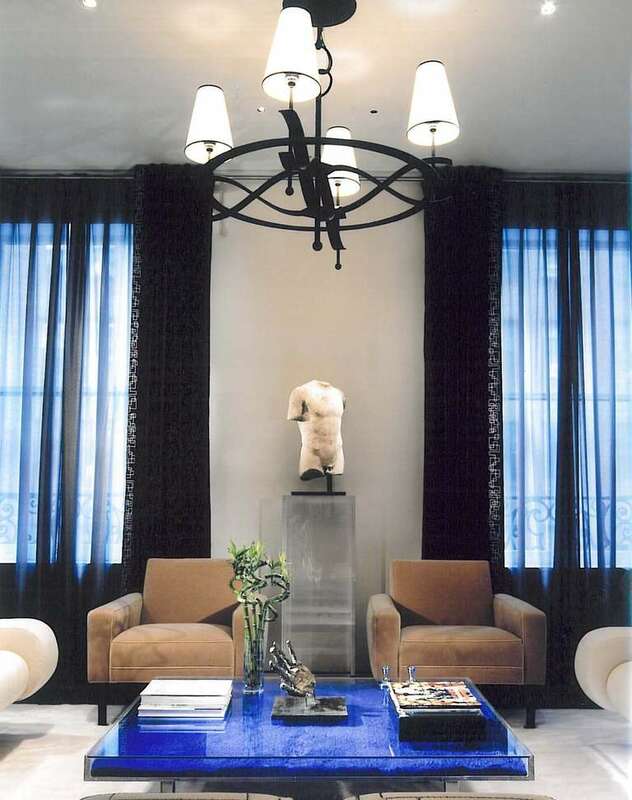 If you are in the New York City area we are available to oversee the installation or can assist in finding an installer here or throughout the world.